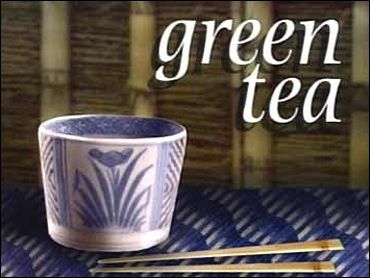 Researchers at the University of Michigan Medical School found that green tea may help treat rheumatoid arthritis. Specifically, they found that when treated with EGCG (epigallocatechin gallate), joint cells called synovial fibroblasts exhibited less inflamation when exposed to an inflammatory chemical linked to RA. In addition, "EGCG blocked a chemical chain reaction linked to inflammation and joint damage." And EGCG, like all compounds that are beneficial to the human body, is best obtained in its natural form. And since EGCG is found only in green tea, the only way to get it naturally is by drinking natural green tea. And sipping a nice, warm cup of green tea with one's feet up on the desk is so much more soothing than popping a green tea extract pill.